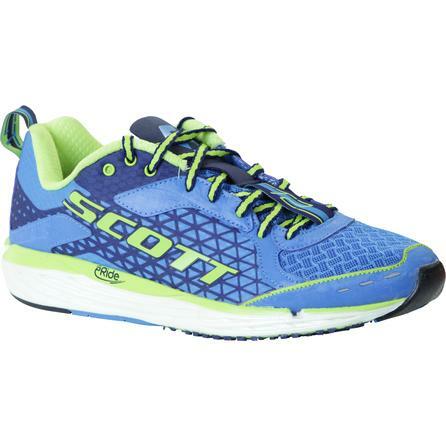 The Scott T2 Palani Running Shoe is designed for lightweight performance. Scott used Aero Foam which is 25% lighter than traditional EVA. Despite its lightweight feel, Aero Foam provides excellent cushioning, and 5% less deformation, so the shoe lasts longer. The T2 Palani Shoes have Scott's eRide rocker shape that helps to promote a natural midfoot strike and efficient gait. "Do these sneakers run true to size? Are they good for walking and jumping rope as well or is it just a trail running shoe. Thanks." "Yes, these sneakers run true to size, and they will be excellent for running, walking and jump roping!" "how wide is the toe box on the size 13? i have wide feet and i cant find any shoes like this that are made wide enough for my feet." "Based on the information you provided, I would not recommend these shoes for you. I would suggest taking a look at our Altra shoes. They are wide in the toe box and comfortable for walking and running. you can view some of our men's shoes here."